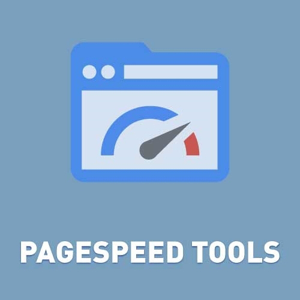 This plugin will help you to increase ranking for your pages. 1. Minify pictures in your store (.JPG, .PNG, .GIF). 2. Minify CSS style and JS scripts. Plugin minifies your CSS styles and JS scripts. If you have the file named styles.css, plugin will create the new file named styles.min.css with the same date and time stamp. If you have the file named styles.min.css, plugin will update this file with the same date and time stamp. 3. Minify HTML on fly. 4. Optimization external links for CSS styles. You can inline small CSS styles, you can move CSS styles to 'head' or 'footer' sections, you can load external CSS styles asynchronously, you can set critical CSS styles for loading in 'head' section and extra features. 5. Optimization external JS scripts. You can inline small JS scripts, you can move JS scripts to 'head' or 'footer' sections and extra features. 6. You can add 'hreflang' tag for each page (SEO) (nop 3.30-3.80, new nop versions have another plugin for it Google Multi Language Sitemap). 7. You can fix <script> block using data attribute tag ' data-fixedscript="1"'. Plugin will skip this <script> block and will not move it. 8. Added support "A new image format for the Web - WebP"
9. Added support new HTML tag "picture"
If you want to have high Pagespeed you should move JS scripts to 'footer' section. c) add this critical CSS style in your file manually 'Head.cshtml' (plugin has the parameter 'Critical CSS style', but it has a limit 2000 chars). Some of hosting providers (ex. www.smarterasp.net) use own GZip Compression. You must enable GZip Compression, because hosting providers compressed page before minification. It's important. Not registered version is fully operational. It has only one limitation. This version has only one limitation. It will work 15 days. Try before buying. + Upgrade Magick.NET library with the last release. + Magick.NET library wantes to restart nop store twice before first loading (solved it). Important fix. + cosmetic fix (skip minification AMP pages). + upgrated external library WebMarkupMin (2.5.5 important fix, fixed bug Fixed a error that occurred when removing quotes from attribute with an empty value). - important fix. Changed the algorithm for minification pictures (please minify all pictures again for your store). - fixed critical bug "didn't minify CSS and JSScript files on fly"
+ we removed support hreflang tag. We have another plugin for it Google Multi Language Sitemap. - fixed bug for nop 4.00 "didn't find the folder for Images"
+ added new feature (Magick.NET library uses ANY.CPU mode and unpack itself in /Plugins/Bin folder), old releases used another logic. Magick.NET library unpacked itself in %Windows.TEMP% folder, but sometimes IIS application didn't have read/write permittion. - fixed bug (plugin tries to minify CSS files from external sources and wrote the message about it in nop log). - fixed bug for nop 4.00 (don't minify html page). - released version for nop 4.00. + plugin doesn't move 'application/ld+json' and 'async' scripts. + changed logic for minify pictures (plugin remembers the last minified file). This information helps to continue work after restarting IIS application pool. + changed logic for minify pictures (without temporary files, plugin uses one stream now). + added new feature, you can pass minification for Admins, this feature will help to debug your site. Another customers and Google bot will see minified pages. + added support cascade Result Filters, you will be able to use this plugin with another plugins which change HTML response. + remove external .EXE file for JPEG lossless compression. Now plugin uses .DLL file. We have the same results. + added support minification of all .PNG pictures (Exception: This image you are attempting to quantize does not contain a 32 bit ARGB palette.). + added new parameter Disable minify Html for pages with size (in bytes) . + fix bug with wrong URL for scripts (it's not important). + removed limit for page size (page with size more 10000bites was skipped). + very important fix. Some of hosting providers (ex. www.smarterasp.net) use own GZip Compression. You must enable GZip Compression, because hosting providers compressed page before minification. It's important. + added optimization for Google Fonts. - removed tag content-language('Using the meta element to specify the document-wide default language is obsolete'). - fixed bug with tag 'hreflang' for multilanguage store. + added support XHTML page with wrong content type. - fixed bug for XML content type.